Who chooses the targets for Memory's Journey? LabManiac_Sigi, disregard the question concerning the necessity to flashback Memory's Journey . I found the answer on the old messages on the Hulk Discord. LabManiac_Sigi, jaymc1130, or others, am I correct that Memory's Journey must be used after getting infinite mana through the Bomberman combo to put Timetwister back in the deck if you are using either Hermit Druid or the Cephalid Breakfast combo to put your entire deck in the graveyard? LabManiac_Sigi, I believe you had stated that you only keep hands with either a tutor or draw engine. Have the changes in the deck changed that? Percentage wise, how often do win through Flash Hulk, Hermit Druid, and Bloom Tender / Freed from the Real ? 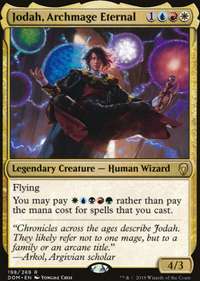 justinhohenshelt: cast a sorcery, counter it with Swan Song to get a bird, then cast Memory's Journey putting the sorcery, swan song and Noxious Revival on top of your library. Draw all three and cast revival to get Memory's Journey back. Run the loop for lots of birdies. IAmTheWraith but does it really end the game? In EDH with Hermit Druid at almost every table, they can flash back a Memory's Journey to put something into their deck, and Dread Return on their main phase, bringing back Laboratory Maniac, and cast the Brainstorm they shuffled back into their deck to win, the Kess deck will Necromancy back a Laboratory Maniac on upkeep, and the Gitrog deck runs Eldrazi to shuffle back their yard. It's conditional and would need some setup but Invasive Surgery would make sense in your sideboard, particularly against Faithless Looting decks. Cranial Archive or Quest for Ancient Secrets might also work. Field of Ruin is unconditional, booth players must shuffle, Ghost Quarter lets your opponent decide. Stream of Consciousness does what you want, but if you were willing to splash green Memory's Journey is better and you have access to Riftsweeper and Unravel the Aether, the last is worth considering since you don't have enchantment/artifact removal. Isochron Scepter, might be useful, also Boomerang and Eye of Nowhere can bounce lands, or anything else which is a good stalling tactic. Last thought Blessed Reincarnation is probably better than Commit / Memory, and hits twice. Hope this helps, have fun brewing your deck. Decent deck but you seem to have an incorrect deck building mentality...the graveyard is a beautiful place that also exists as your hand away from your hand. cards like Memory's Journey or Noxious Revival have the potential for graveyard interaction with your opponent but Reclaim doesn't which make me think that you are using these cards to pull things out of your graveyard. 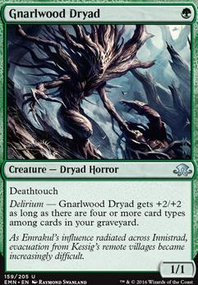 In fact you would rather be dumping cards into your graveyard instead which is why Hermit Druid is ridiculous; cards like Reanimate Dead are very simple and easy to use cards that work well with it. 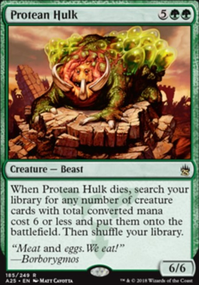 you should consider putting in cards like Protean Hulk. It is regarded as one of the most broken cards in the game as it is a unpunishable wincon unlike cards like Doomsday. Sultai is the color where you mess around with your graveyard you have little to no ability to pull things straight out of it (cheat out) onto the battlefield, but you have a lot of cards that are anti synergistic with the colors you are playing with. 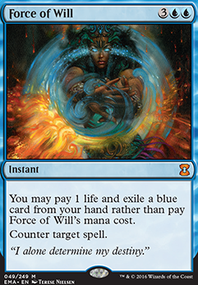 a couple of cards are going to be too mana intensive to use Grave Betrayal Future Sight Mikaeus, the Unhallowed Teferi, Mage of Zhalfir Duskmantle Guildmage. some of these have obvious combo potential but the thing is that they are way to expensive to ever play normally. you have to cheat it out with some graveyard shenanigans. it also makes your deck overall more resilient towards interaction because you can always bring the cards back. Helm of Awakening : you aren't running storm and this deck doesn't seem to cast more than a couple of cards a turn. this is specifically a card that you need to win with the turn you play it. Liliana Vess: just play Dark Petition liliana is just a 5cmc paperweight and i don't think you really want to +1 or ult and you -2 doesn't straight up tutor. Villainous Wealth: is this just for memes? the likelihood that you hit an infinite combo piece is pretty small and you don't have a way to make infinite mana. I built a much better Karona, False God deck, stacking the triggers, but more often Beast Withining an opponents threat like a Food Chain then going off with Oath, with Karona as backup-backup. After testing, you all are right. I use Yawgmoth's Will and Memory's Journey to storm off in my graveyard as a wincon, and though I might be able to do the same with Nexus and Pheldagrif. I was mistaken. When you look at Phelddagriff, I assume you see group hug, maybe some political action, who knows. 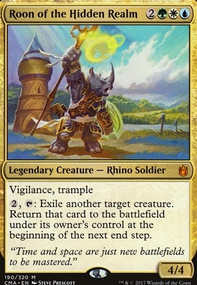 Not cEDH, however it's trample ability give an opponent a creature, and for two green you can make sure an opponent has more creatures than you, what does this mean? 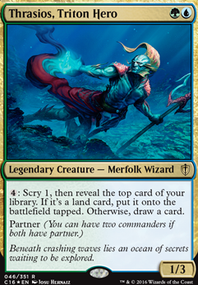 Now imagine you could then have no creatures in your library, milling into Memory's Journey, and as this is on your upkeep, you can choose to only put one card in your deck, or drop the Journey and run Nexus of Fate, getting infinite turns to kill with a 4/4 flying pheldagrif. Do you all think this could work? 7 mana per turn isn't easy, but isn't impossible. Memory's Journey is a 'save card' with Pull from Eternity to get us back into the game if we can't go infinite turns. Krosan Reclamation if your Memory's Journey is countered. Unlike Hermit Druid, we can run basic lands, but we can't run creatures like Laboratory Maniac for an easy win... so no easy win there.